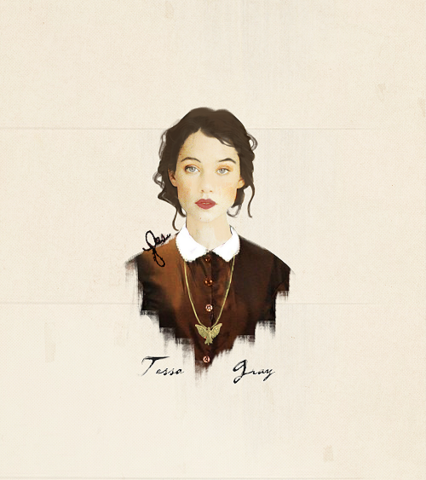 I have often professed my undying love towards the character that is Tessa Gray and because of several fanarts and edits, the image stuck in my mind will forever be in the likes of Àstrid Bergès-Frisbey, who is an actress best known for playing the mermaid Syrena in Pirates of the Caribbean. Theresa Gray is an intelligent, brave, strong-willed, caring, warm, kind, understanding and an ever curious character. She can also be very stubborn at times and her wit is as sharp as her mind, not to mention her gift for playful and teasing banter (with Will). She is everything I aspire to be but of course that perfection is unattainable. Even though I got the stubborn part down and the curiosity of a cat, I still have a long way to go. I also love that she is an unapologetic lover of books and literature, how she connects deeply with the characters that she read about, and the wisdom that she gets from them. 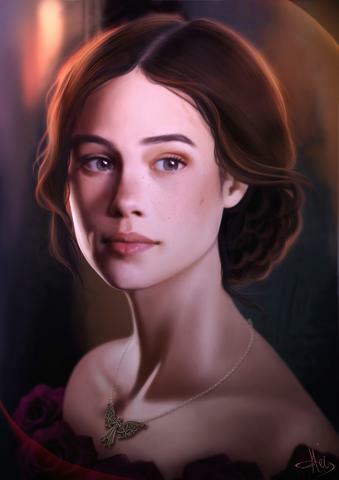 When I was reading The Infernal Devices series it’s not just once but many times that I felt connected with her character over the course of the trilogy. She echoes much of what I think but her eloquence in expressing them through quotes and passages of books, comparing them with a character in a book is what really endeared me towards her. Tessa hates chocolates and that is the only flaw I will ever find in this character. Yeah and I can’t wait for The Last Hours series!! I really need to read this series! I love steampunk and that’s what the name reminds me of. They look really good!! Ha ha! Anything Anachronistic reminds me of steampunk. Just the word Clockwork always makes me think of it for some reason… I’m a little obsessed. I’ll definitely be checking them out! Woah, will definitely have to read TID asap! First off, that fanart is stunning- second off, she sounds amazing!!! Other than the chocolate bit- how can she hate chocolate? And that quote? Damn… It’s gorgeous. Well, we’re all biased about our faves 😀 we have similar taste, so I’ll most likely love her as well- will tune back in with my final verdict though! Ahh Tessa is a great character! !